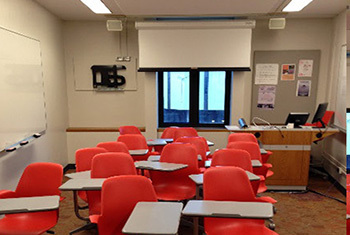 Classroom 3670 is equipped with a blu-ray/DVD deck, document camera, projector, speakers, dimmable LED lights, 6' pull down projection screen, overhead projector, laptop and HDMI connection, white or black boards and 18 movable tab armchair desks. 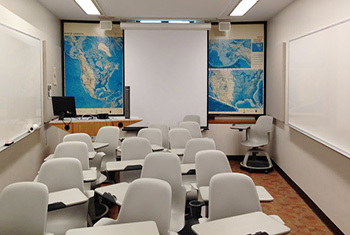 Classroom 3622 is equipped with a blu-ray/DVD deck, document camera, projector, speakers, dimmable LED lights, 6' pull down projection screen, overhead projector, laptop and HDMI connection, white or black boards and 18 movable tab armchair desks. 41 seated, 70-100 standing. 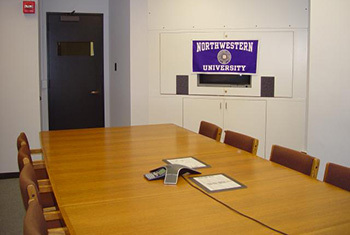 The VerSteeg Faculty Lounge is open to Northwestern University faculty, administration and Library staff for special receptions and other formal social events. To schedule the Ver Steeg Lounge, please contact Emily Kelley, Monday-Friday, 8:30 a.m.- 5:00 p.m. at 491-7640 or at emily.kelley@northwestern.edu. Seats 16 people. 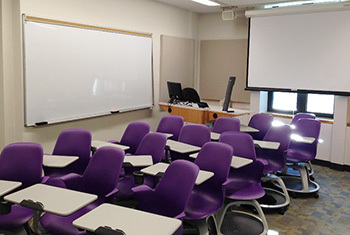 It is available to members of the Northwestern community for laptop, multimedia presentations and video conferencing. 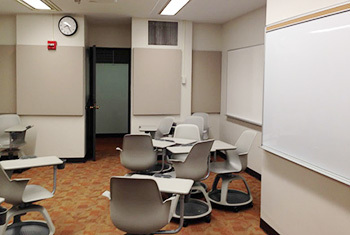 It is not available for use as a regularly scheduled classroom that does not require the use of this equipment, or for events that charge admission. For more information, visit the Room 3746 page. Equipped with a blu-ray/DVD deck, document camera, projector, speakers, dimmable LED lights, 6' pulldown projection screen, overhead projector, laptop and HDMI connection, white or blackboards, and 18 movable tab armchair desks. 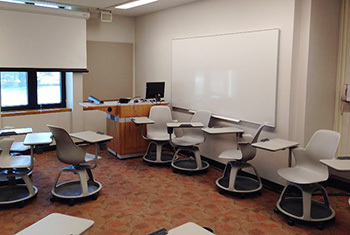 Equipped with a blu-ray/DVD deck, document camera,projector, speakers, dimmable LED lights, 6' pulldown projection screen, overhead projector, laptop and HDMI connection, white or blackboards, and 18 movable tab armchair desks.